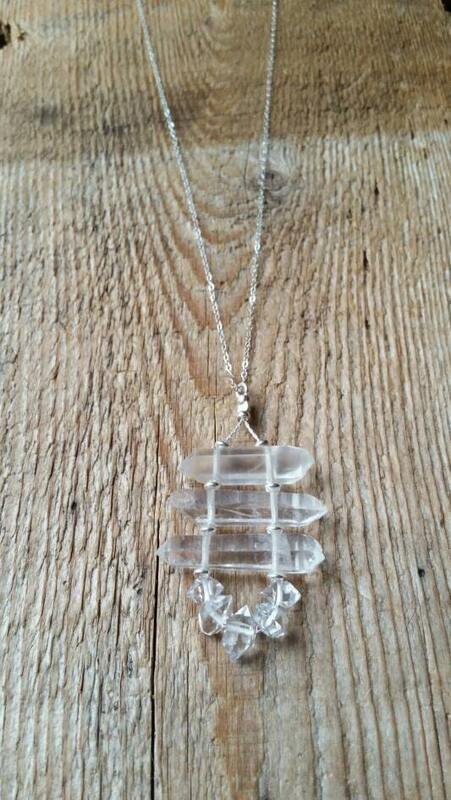 Double terminated quartz crystals stacked in a ladder with sterling silver bead accents. On delicate sterling silver chain, finished with a lobster clasp. 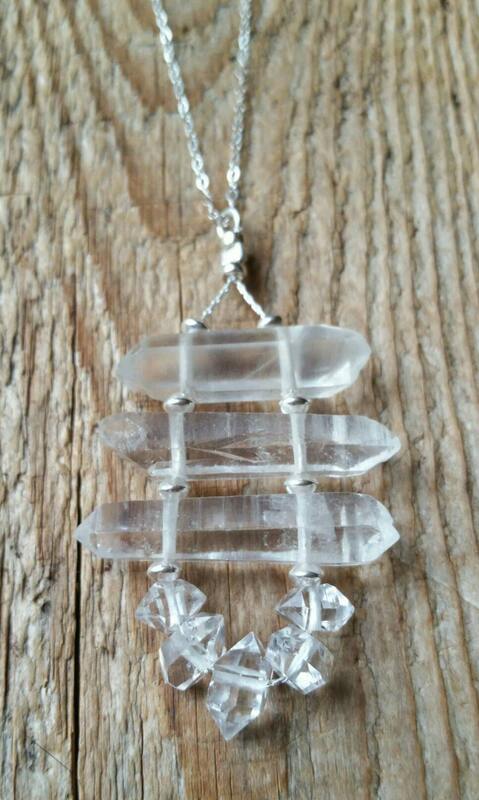 5 water clear herkimer diamonds line the bottom crystal. Pendant is 2" long and the necklace is 21.25" long. 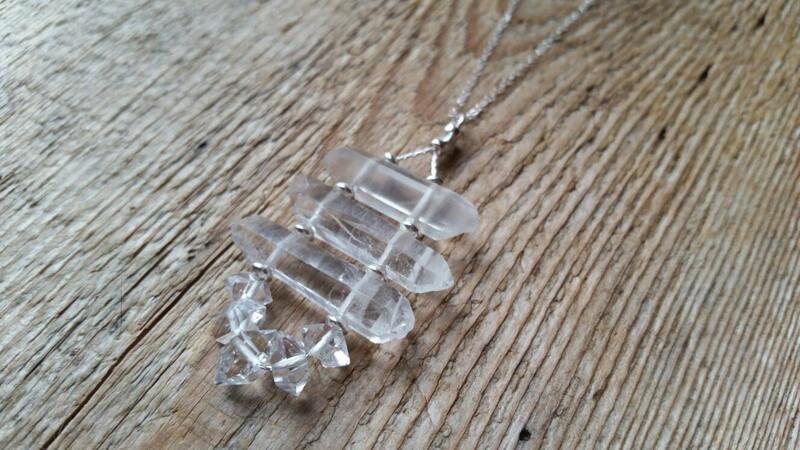 Herkimer diamonds are known for their ability to manifest pure, solid light. They are powerful amplifiers of spiritual energy. Since they are double terminated, they have the ability to both transmit their own energies and also receive spiritual energy.